To Olympia for the 38th London International WineFair. Fewer exhibitors this year, and it seemed few visitors also for the first day. Danie Steytler Junior of Kaapzicht Estate was showing his wines on their agent Seckford’s stand. 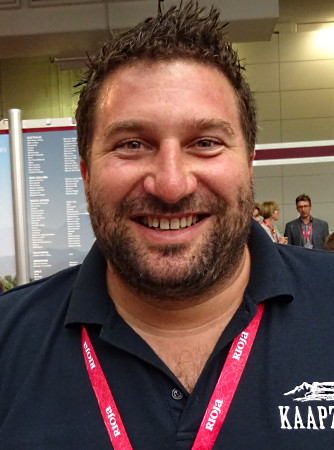 Just as Danie Jr took over winemaking duties from his father Danie, so he has given his mother Yngvild a break from her many years of attending London’s wine fair. Yngvild and Danie Snr have taken the opportunity to go on a camping holiday. 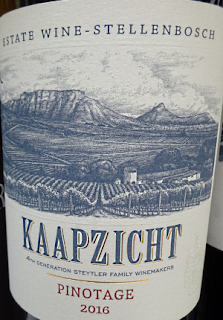 Kaapzicht’s 2016 Pinotage offers soft ripe cherry flavours. 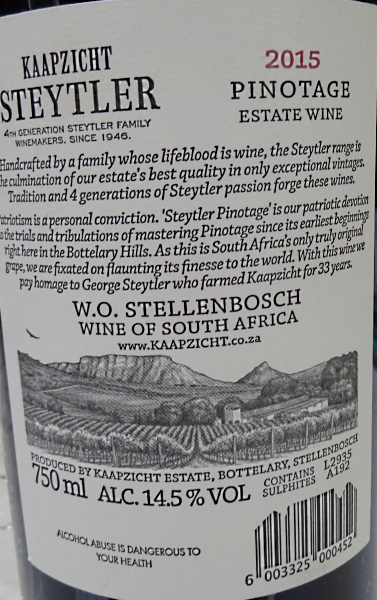 Vision 2015 is a blend of 50% Pinotage, 40% Cabernet Sauvignon and 10% Merlot. 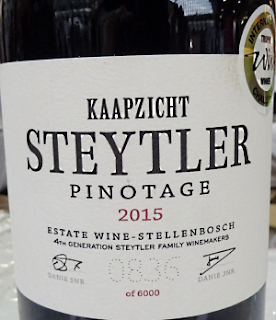 “This is the first time Pinotage had been the major variety. Previously Vision has been Cabernet dominated.” said Danie. “This wine had 2 years aging in 100% new French oak barrels and it was bottled in October 2017. Vision 2015 is a lovely classy wine, smooth as silk, with sweet berry fruits. Kaapzicht ‘Steytler’ Pinotage 2015 won the International Wine Challenge Pinotage Trophy. This is a full bodied sophisticated wine with ripe voluptuous sweet plum and berry fruits. 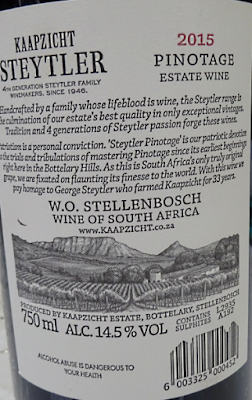 I thought it was gorgeous, a flag carrier for the variety, but Christian Eedes, writing in WineMag says it “arguably lacks thrill factor.” I’d be thrilled to have this wine with dinner.